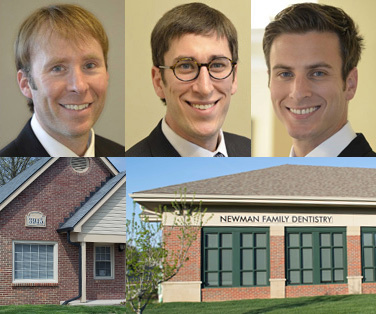 Of all the cosmetic dentistry techniques that Newman Family Dentistry provides, dental bonding is the most cost-effective and versatile. Dental bonding takes less than an hour per tooth, and can be used in many cases instead of more expensive and time-consuming treatments to repair chips and cracks, lengthen and reshape teeth, cover stains, and address a myriad of cosmetic defects that detract from the beauty of your smile. The primary material used in dental bonding is composite resin, the same substance used to create tooth-colored fillings. After preparing the surface of your tooth to bond with the composite material, we apply the resin and meticulously sculpt it into the desired shape — whether that is a cap to lengthen your tooth or a patch to cover staining. Once applied and shaped, the resin is hardened using a curing light. The resin we use is carefully color-matched to your teeth, so that the finished product looks as bright and beautiful as your natural smile. The entire process can take as little as half an hour, and your newly-repaired teeth are almost immediately ready for normal use. Should I ask for dental bonding? Amalgam fillings. Tooth-colored fillings are frequently preferable to traditional metal amalgam, and are one of the most common applications for the composite resin used in dental bonding. Dental crowns. For lengthening, reshaping, or repairing teeth, dental bonding offers a faster alternative to crowns, accomplishing the same objectives in fewer visits and with less damage to your natural enamel. Porcelain veneers. Unlike veneers, dental bonding allows us to cover stains and discoloration without removing part of the natural tooth. Braces. Depending upon your goals, dental bonding may be used as an alternative to purely cosmetic applications of braces. While it cannot physically straighten a tooth, dental bonding can aesthetically correct crookedness and fill in gaps. The speed and price of dental bonding are its most important advantages, and the process offers few drawbacks. Its only disadvantage, in comparison to other cosmetic dentistry techniques, is that it may not last as long — usually around five to ten years. While this may not be right for everyone, it is a viable choice in many cases, and we are happy to provide it as an option. It's hard to overstate the benefit to your confidence that attractive teeth can grant. Dental bonding can bring you that much closer to the bright, flawless smile you deserve. If you'd like to meet with us to discover whether dental bonding is right for you, call our office today or request an appointment online. For your convenience, we have two office locations in Carmel and Indianapolis.